Attorney Ramez Shamieh’s clients have described him as “a lion who never lets up.” The intensity and energy he brings to each case yields better settlements for his clients and a strong reputation among his peers. Owner and managing partner at Shamieh Law, attorney Ramez Shamieh is a native of Lake Charles, Louisiana. As an undergraduate, he attended Southern Methodist University in Dallas, where his courtroom confidence was first established on the soccer field. The SMU Mustangs won their conference every year he played, reaching the Final Four in 2000 and setting the NCAA record for most wins in a single season. Mr. Shamieh’s drive to succeed is tempered by his grounded nature. After interning for Congressman Chris John during his sophomore year of college, he realized he could help the less fortunate through a career in law. “I focused my career on helping people who cannot help themselves–the same types of people I helped during my internship,” Mr. Shamieh says. Tulane University offered both civil law and common law education, which intrigued him. Experiencing Hurricane Katrina as a Tulane student made a major impact on his life. “Being in law school during this tragedy taught me humility, and to take nothing for granted,” says Mr. Shamieh. He graduated in 2007 and returned to Dallas, where he began his career at a small personal injury firm. He then moved to the award-winning McCathern Law Firm, which provides legal counsel for the Dallas Cowboys. During his six years with McCathern, Mr. Shamieh was immersed in a wide spectrum of law: negligence cases, product liability, auto accidents, product defect lawsuits, workplace and premises accidents, plane crashes, dog bite cases, DWI accidents, 18-wheeler collisions and bus collisions, as well as other personal injury litigation. He emerged well-versed in the strategies seasoned litigators apply to force defendants to settle lawsuits, rather than fight them. “I can pinpoint the evolution of my legal style to one specific auto accident case,” says Mr. Shamieh. The case involved an 18 wheeler traveling at over 60 mph. It plowed into an unsuspecting victim who was at a complete standstill. The results were catastrophic. Mr. Shamieh thrived as an up-and-coming attorney. He was nominated each year to Super Lawyers’ Rising Star list each year from 2014-2017 and named a “Lawyer on the Rise” by Texas Lawyers Magazine. Shamieh has earned a perfect 10.0 Avvo rating, and a “10 Best” client satisfaction rating with the American Institute of Personal Injury Attorneys. The close bond marked a turning point in Mr. Shamieh’s career. He merged his compassionate bedside manner with his drive to seek justice for injured people. Mr. Shamieh learned the former from being raised in a family of medical professionals. His father, Fayez Shamieh, MD, is a nationally recognized neurologist. His brother, K. Samer Shamieh, MD, is a leading spine surgeon in Gulf South. These familial relationships with healthcare professionals give him an advantage when creating a medical team for his clients. 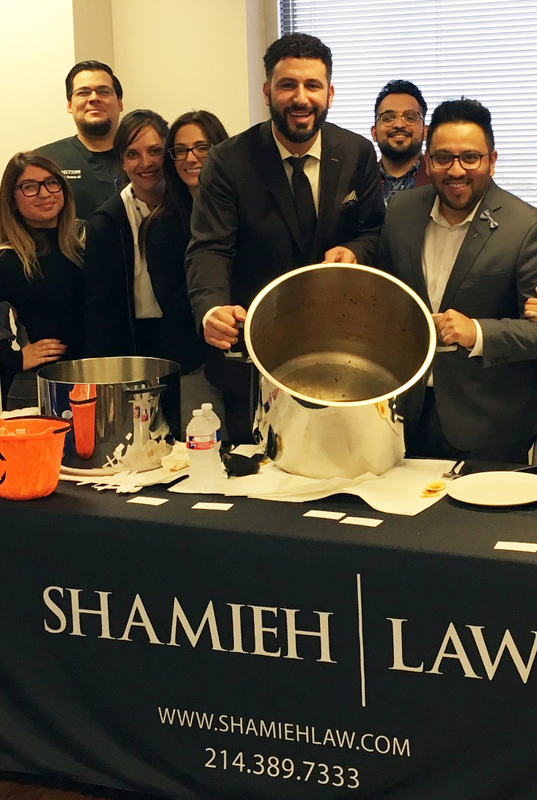 Though Mr. Shamieh found career success in Dallas, he never forgot his Louisiana roots or his fondness for gumbo! Attorney Ramez Shamieh is licensed in Texas and Louisiana. This means he brings a new standard of advocacy, passion and care to injury victims in both his home and adopted states. 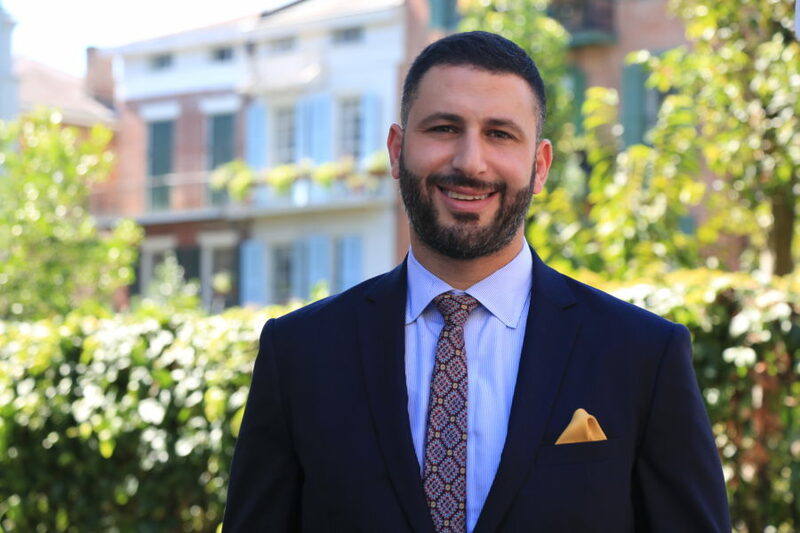 Mr. Shamieh actively represents personal injury victims in Texas and Louisiana and will soon open an office in Lake Charles, Louisiana to better assist his clients in Louisiana. 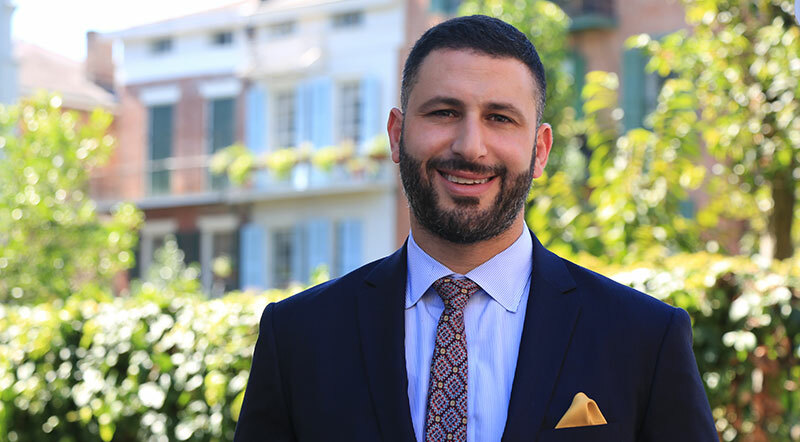 Personal Injury attorney Ramez Shamieh and every member of his Team offers personal guidance to protect the rights of victims and their loved ones across the States of Texas and Louisiana. If you or someone you know has been involved in an auto accident, experienced a wrongful death, had a workplace accident, or was injured by a product defect, contact Shamieh Law. Shamieh Law offers a free case evaluation for clients in Texas or Louisiana, regardless of their ability to pay. On top of that, attorney Ramez Shamieh and his Team only get paid a percentage of your successful compensation.